With this modern LED USB Desk Lamp you can enjoy a uniform flicker-free light beam that won't fatigue your eyes even after long hours of use, whether it is for work, studying, or simply reading. With three brightness modes you have your choice to best suit your activities. With the energy-efficient LED technology, you'll achieve the same level of illumination while saving up to 75 percent of energy compared to the traditional incandescent light bulbs. Enjoy the lamp's sleek and elegant design that easily fits in any environment, whether it is at work, in your personal study, or even on the bedside table. 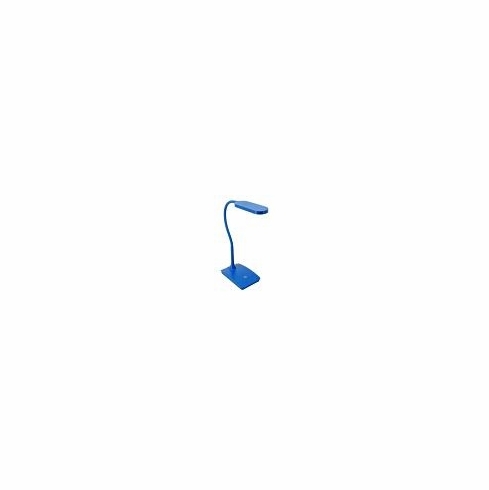 Easily adjust the lamp's gooseneck to orient the light beam exactly where it is necessary and get the most lighting throughout the day. Charge your phone as you work with these Lighting Charging Cables! •	Save up to 65% energy!